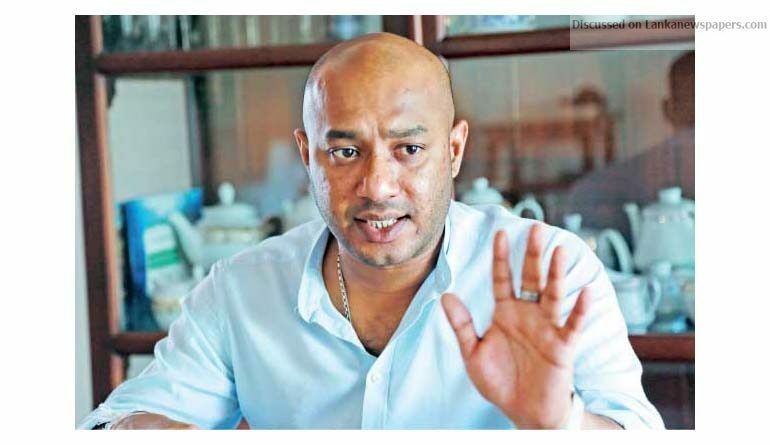 The General Secretary of the SLFP Duminda Dissanayake yesterday said that he did not like to respond to the remarks made by SLFP Parliamentarian Dilan Perera on him and UPFA General Secretary Mahinda Amaraweera. “Here is a man who lives on lies and contradictions. It was this same Perera who once said he was to take poison if he could not achieve his political objectives. No one takes him seriously and you also must treat him that way,” Minister Dissanayake said. He said that the issue of 16 former Cabinet Ministers, State and Deputy Ministers joining the SLPP or the Joint Opposition did not arise as long as all of them remained in the SLFP under President Sirisena. He added he and UPFA General Secretary Mahinda Amaraweera were doing a secretarial function conveying the decisions taken by President Sirisena and SLFP Central Committee. “Both of us have no hand in decision making in our respective parties and we convey the messages to the country,” he stressed. Minister Dissanayake said President Maithripala Sirisena was the one and the only politician who had the capability to win the 2020 Presidential election and therefore, he would be the indisputable Presidential candidate of the SLFP. He added that all other political parties were in a state of confusion and only the SLFP had already decided on its Presidential candidate and therefore, his victory was already assured. “The SLFP’s future lies in achieving victory at the forthcoming Provincial Council Elections, the Presidential Election, the General Election and forming an SLFP Government single-handedly in 2020,” he said. Addressing the media at his office, Minister Dissanayake responding to a journalist said he would never join the UNP but certain SLFP members wanted to push him to the UNP. “I and the late Mr M. D. K. Gunawardane left the SLFP behind Maithripala Sirisena on November 19, 2015, well realizing the threats, challenges and risks but we never resigned from the party of obtained the UNP membership when we contested the August 2015, General Election. “We continue to remain in the SLFP to protect and strengthen President Sirisena and the party. Those who throw brickbats us are those who jump time to time to SLFP from the UNP and to UNP from the SLFP at the right time. It was they who had no policy and lost SLFP membership for years must leave the party,” he added. Responding to demands that all SLFPers and Cabinet Ministers must leave the Unity Government, Minister Dissanayake said it was a betrayal of the hopes given to the people by the Yahapalana Government. “We formed the Yahapalana Government for specific objectives of pruning the Executive Powers of the President, bringing a new Constitution and introducing independent commissions and restoring the rule of law and democracy. “We have a responsibility to fulfil those pledges and that is why we remain the Yahapalana Government,” he stressed.